My mission is to provide a positive musical experience for all students. For some this includes rigorous preparation for an audition of some kind, for others it may be an introduction to music fundamentals to foster better listening skills and greater artistic appreciation. All students will be challenged to improve their listening, timing, and technique. All students will learn to play songs that they love. Grammy award winning Big Band lead by Brian Setzer of the Stray Cats. Lectured History of Pop Music, directed jazz combos, assisted the director of jazz studies. K-5 general music, taught singing, rhythm, music fundamentals, directed the christmas pageant. Directed Beginning Bands, Wind Ensemble, Jazz Bands. Jordan is a jack of all trades. Whether your are interested in guitar, trumpet, piano, ukelele or harmonica Jordan can help you reach your goals. Check out his full profile (or keep reading) for more information on Jordan- http://takelessons.com/profile/jordan-m Jordan received his Bachelor of Arts degree in Music Education from the University of Miami at Coral Gables and has been an active performer and teacher in San Diego since 2007. I enjoy teaching kids and adults of all ages. When I arrive for our first lesson, we'll start by getting to know your musical tastes and aspirations. Then we make a plan. Then we play! Everybody's path is different, but we must start with a strong foundation in the fundamentals. After we start to establish some technique on your instrument we will explore music that suits you from a practical stand point in your development, and very importantly, stylistically. Together we will plan a curriculum that keeps you motivated toward your goals and that fits your life style. You can expect a laid back, yet focused environment. Most of all, you can look forward to progress! Hope to see you soon. Absent for an extended period. Became unreliable and communication deteriorated. Scheduling became spotty. A sad update to my earlier 5 star review. My son began learning guitar from Jordan when he was eight, he’s now nine. Jordan taught my son to play from the foundation up and did amazing at it. However, he took a month off to go on tour and told us he would continue lessons on skype. The lessons however were once every other week if that, Jordan wasn’t consistent in the schedule. On Skype, Jordan didn’t have a guitar, he held clapping sessions with my son on camera. My sons skills began to fall and his confusion mounted so I asked that Skype lessons discontinue and asked that we pick up the in home lessons once Jordan was back home. I don’t think think this pleased Jordan. After the tour, Jordan took more time off for vacation (which he’s entitled to) but upon returning home he didn’t call us. I eventually inquired and the next day we had the first face to face lesson in a month or more. Jordan’s demeanor changed, I asked to schedule the rest of the months lessons and was told Jordan would contact me but days went by with no response. We were forced to seek another music studio at that point. I wrote Jordan to notify him of the switch and to thank him for his past teaching but four days later, still no reply. Jordan is a great teacher but I do not recommend him for young children who are just beginning. Inconsistentsy is hard for kids and having a teacher who is adored just sort of, vanish...was difficult for my son who held him in high esteem. I’m sorry to have this as my update. Jordan is great. A cool professional with great vibes! Great first lesson for my son! Thanks Jordan. Jordan taught both my teenager and pre-teen trumpet for a couple of years, and was able to extend their ranges on the very first lesson. He is organized, kind, a great musician, and he stuck to the fundamentals - a great teacher. Jordan is a great teacher. Very enthusiastic, extremely flexible, and knowledgeable. He brings a lot of resources to the table. We were able to jump from basic stuff like scales and other practices to what my goals are and how to achieve them. Working on line was no problem. Highly recommended! My son is 8 and has been seeing Jordan for several weeks. Jordan started out by clapping out music, learning about pitch and timing etc instead of putting a guitar in my sons hand on day one and overwhelming him. My son left Jordan today and on the way home excitedly told me “I love seeing Jordan, my confidence grows every time I see him.” Those were his own words! Tomorrow we are purchasing him a real guitar and I see him being a great student because of Jordan’s patience and introduction to music the right way! Jordan began at the foundation and I feel has set the stage for great things for my son. Wonderful teacher!! Great lessons. Enjoyed learning the instrument with Jordan. Excellent teacher. great start! excited for our next lesson. Great first lesson. Jordan has an enthusiastic and warm demeanor. My son looks forward to more lessons with him. Great 1st lesson! Ben is looking forward to working with Jordan going forward. Jordan has been working with Adam for a bit over a year, and he is terrific. He has great patience, enthusiasm, and really engages Adam and challenges him to do more in an inspiring way. We are so glad we found Jordan! Jordan is the best! I've learned so much! I personally did better than I expected, all due to Jordan's excellent method of teaching. A very pleasant experience. Jordan is great. He fixed up my kiddo's school trombone, and taught him the basics of how to use it. We look forward to more lessons with him. Good lesson. easy going person, with patience to teach. Friendly, positive and knowledgable instructor. Really fun, energetic young guy who has kept my 12 year old interested in playing his trombone. My daughter is really picky about teachers of this nature but she really liked Jordan and his style. She states, "He really knows what he's doing and is really nice." Exceptional teacher for all levels. Exceptional teacher! My son and I are thrilled w Jordan's passion for reaching. Great first class ! Can't wait for the next one ! Jordan is a great teacher! He's very patient and knowledgeable. I learned a lot from him in a short time. I'm taking a short break, but will definitely go back to him at a later time. Great instructor, been progressing quickly with Jordan's instruction. Very easy to jump in and learn the basics. Overall I am very happy with my lessons and what Jordan has taught me. Very good instructor. Very relaxed way of teaching. Learned to play a song during the first lesson. Great teacher! Jordan is a real pro while making the lesson really fun and chill. Would definitely recommend him for others. Jordan teaches one on one with ease and patience. I've repeatedly seen him calmly redirect my nine-year old son in numerous slips of attention during lessons. Excellent instructor! Jordan teaches me and my son piano and taught my other son trumpet. He is absolutely terrific. Extremely patient, knows how to connect with kids, but also really works well with me too, and I studied lots of music theory in college. He obviously loves music and wants his students to share his passion. I would recommend him to anyone. My children have had a wonderful experience taking saxophone and guitar lessons from Jordan. They love playing their instruments. I'm sure other students would enjoy this type of opportunity. Jordan does a really good job... I would have preferred live lessons, but given location, we had to do online lessons. My son still finds them very helpful, which I think is impressive. Sometimes I listen in on their session, and what I hear is an instructor who is patient and finds creative ways to teach. Jordan is the consummate professional. He is on time with a fine manner of teaching. He is patient and very knowledgeable as well as sensitive to the students needs and obstacles they may be facing. Highly recommended. Patient, kind, very knowledgeable. Has a good ratio of playing his horn and listening. I would definitely use him again when we need more lessons. I'm an adult with some music background. Jordan has been great, encouraging me in my progress and helping pay attention to the details of music. He's also guiding me in teaching my kids who are 5 and 7. They have some special needs. We tried having my boys take lessons from Jordan initially, they just weren't ready for formal instruction. Too many typical crazy kid behavior. So I am doing what I can at home and Jordan has given me great input to get them ready to eventually take lessons. I'm so impressed with Jordan. He has a great, positive, fun personality and he really knows is music!! Jordan has a personable, fun style. He put me at ease in my first lesson. 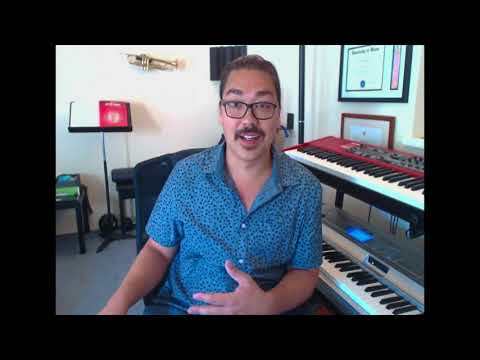 He found examples and imagery that helped me understand how to play and appreciate some technical musical concepts. Jordan helped me get off my musical plateau in one lesson. Jordan help to get important basics by giving various techniques for practicing. He keeps encouraging which keeps me motivated and enjoying the lessons. Jordan is a great teacher, patient and fun. Jordan is a great teacher! I haven't played piano since I was a kid and always wanted to return to it. Great to have a knowledgeable teacher that still makes it fun to learn. I booked him for the year. I would definitely recommend him. Ian is enjoying the lessons so far! Thank you! Jordan is a great teacher. He is patient but also catches my mistakes so I can fix them. I'm excited about getting better at piano. Wow. Just, wow. Take lessons from this guy. Seriously, he's awesome. I studied under Jordan when he was a TA at SDSU. He was laid back, easy to get along with, and always helpful when I had questions for him. Since then, I've had the pleasure of performing in SDSU ensembles with Jordan. I mean it when I say it: Jordan is not only one of the best music teachers in San Diego, but he is also one of the best trombone players I've ever had the pleasure of knowing. Love these lessons with Jordan! They're fun, informative, and low-key. The Skype lessons are a great learning environment, and I'm still challenged and learning a ton from Jordan. Jordan was an awesome piano teacher, really focusing on what I was interested in and structuring a lesson around that. He also gave me materials to use at home and helped me create a practice structure that would be beneficial to my growth. Great teacher! Jordan, his performance experience gives him outstanding credentials with students who can admire and learn from a great player and outstanding person. My son has been going to Jordan now for well over a year and has advanced so much with his instruction. 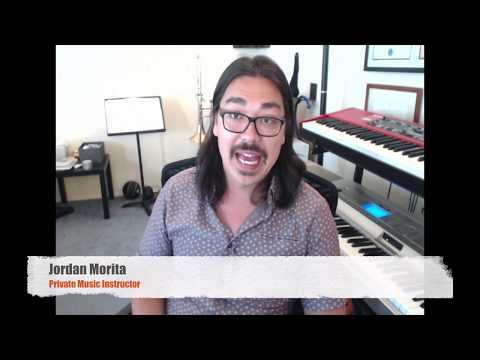 Jordan is a kind and patient teacher who has a vast knowledge in many different instruments and I highly recommend him to all students and parents who want to improve there understanding and play of music. Both my boys took lessons with Jordan over the summer (sax and trumpet) and they loved it! They both talked about him all week leading up to the next lesson and what they were going to learn next. So far they have both flourished in their band classes this school year! I can't say enough, he's a great teacher! INSPIRATION!!! I have been now, taking lessons from Jordan for 6 months. Each time I leave my finish with him, I am disappointed that I have run out of time. I've extended my lesson time, and it never is enough. As I depart, I am excited and inspired to continue on to do better than the last time. Three days after my lesson, I find myself counting the days to my next lesson. Jordan has my highest recommendation for leadership, and education. A fine instructor, and an enjoyable inspiration. He will not disappoint. My son looks forward to the lessons. Jordan does a great job with him. He has also been very accommodating with our schedule if things have come up. My 8 year old son wanted to learn how to play the Ukulele. He's very active and it's difficult for him to sit still and pay attention, but Jordan was so kind and so patient with him. He learned so much, so fast! I would recommend Jordan to anyone of any age trying to learn how to play! Jordan is patient and very experienced, Cristian has enjoyed his lessons and looking forward to his next one. Jordan is very responsive to what instruction my son needs, and his enthusiasm for music is a great motivator. I've played with Jordan on many occasions in both the professional and academic worlds. At all times he has demonstrated a high level of musicality, dedication, and professionalism. I have also seen him direct/teach younger players in combos. His ability to distill musical concepts and communicate them is clear. Jordan is an awesome Trombone player!!! I had the privilege of being able to play along side this teacher for a couple of years at Central Union and he a great instructor and a great person to be around. Definently someone I would recommend. Need a trombone teacher? Go with Jordan. I had the pleasure of attending one of the best music schools in the country with Jordan, the University of Miami. Jordan is a brilliant trombonist with a beautiful sound and great technique, but in terms of being a teacher, he is incredibly patient and knows how to make music a ton of fun. He is highly, highly recommended! Jordan is an unbelievable teacher with a deep knowledge and passion for music and teaching. He improved not only my mechanical ability to play the piano, but also my understanding of the hows and whys of the art of playing the piano. Thanks so much Jordan, I wish I could keep the lessons going! I am a professional pianist, and I have had the pleasure of performing with Jordan on several occasions. I can say without a doubt that he is one of the most talented performers with whom I have worked. In addition, he is extremely passionate about music, and I am confident that his enthusiasm would be insightful to any future student. Highly recommended! Jordan has been a wonderful teacher and never ceases to be encouraging. Through his lessons I have grown to be a better musician and have more passion for my instrument. I have played in a band with Jordan for almost 5 years-he is a fantastic, creative force with an endless stream of ideas. Outside our band, Jordan has also established a fine reputation amongst the San Diego music community for his professionalism, chops, and reliability. Jordan's work ethic also applies in his pursuits as a music teacher. He is passionate and encouraging with his bandmates AND students. He clearly loves to help others achieve their musical pursuits. I highly recommend Jordan both as a professional player and a music teacher. I had Jordan as a combo director at SDSU. He is very well informed and he has a good work ethic. My favorite thing about him is his ability to inspire hard work by communicating with us in a "real" manner. I've shared the stage with Jordan on many occasions with my world music band Todo Mundo (I'm the drummer). We call on Jordan when we need a trombonist and he gets the job done. He's reliable, works well with others, is friendly, reads charts well, and take instruction well. Jordan has a good ear, has a good feel for many styles of music, and is genuine in his approach to making good music. He respects the sound that our band is going for, along with understanding what is enjoyable for our audiences. I've enjoyed working with Jordan and recommend that others work with him too! Great person who is easy to get along with. As long as I have known Jordan he has been a passionate musician and teacher. Jordan is a talented musician, I started playing with Jordan in High School as part of our marching band and wind ensemble. He is a talented musician and I've had the pleasure of him vibrating my ear drums with his trombone. He has always been musically inclined and it's great to hear hes passing his knowledge on to others. Amazing Teacher, my kids LOVE their lessons with Jordan! My children have been taking lessons with Jordan now for just over a month, and they are loving it! My 7 year old son is doing Guitar, and he has learned to tune his own guitar and is able to play simple songs with 4 basic chords. My daughter who is 5 is taking Piano lessons with Jordan and is able to play 2 simple songs, and able to identify notes on the keyboard while reading music. I appreciate that Jordan teaches the actual music rules and reading of music as well as numbers for the fingers. He is great about having the kids hold themselves and their hands correctly, and having them keep trying something until they get it right and reinforcing the correct practice once it is right. I would refer anyone to Jordan to learn an instrument! He is amazing! Jordan is a positive and encouraging teacher that gives structure and enough direction to keep my son on task. He is reliable and flexible around scheduling needs. It is obvious that he is enthusiastic about music and what he does. My kids and husband love Jordan's lessons. He is motivating and able to help the kids pick songs that they enjoy. The lessons go by quickly. First rate teacher! My son is 8 yrs. and had a positive experience with Jordan on his first piano lesson. My son would like to try flute before he commits to one instrument. I am impressed with Jordan's energy, creativity and knowledge in music. We have a 6-7 year old kid who was begging us for a long time to learn how to play a trumpet. Why trumpet? God knows! However, finally we went looking for him for a place to learn this not-to-traditional instrument. So reading some of the reviews in the website we thought Jordan would fit our kid and I think we were not wrong. Before anything else, Jordan is a Musician and a music teacher. You get this feeling as you enter his house and see all the musical instruments, and then later when he teachers and opens the possibility of not only learning trumpet, but learning music in general. On the way, he teaches some singing, keeping the beat, and all the other related musical basics, and he does it in great patience and creativity, trying to pass on the knowledge to our sometime restless son. A great experience for all of us, and hope that it would continue that way. My son wants to play trumpet in the jazz band at school so he asked for lessons over the summer. Iâm so glad we found Jordan. He welcomed us right in and worked so well from that first moment. My son is a bit shy, so Iâm so grateful that he found learning from Jordan so easy. In fact, every time he came out of a lesson, he asked for more lessons! The feedback from Jordan has been nicely detailed so we know where he is improving, where to focus his practice sessions (and reminding him to practice), and giving suggestions of music to listen to, to make him notice that the learning isnât just practicing, but listening as well. Jordan clearly knows and practices what he teaches. My son also mentioned that he really appreciates the times when Jordan plays along with him during the practice. Thanks Jordan! Jordan is an awesome teacher! Really informative, personable, and easy to talk to. He is very encouraging and really clear on what I need to work on so I know what areas to improve. By the 2nd lesson I dived right into learning "Brown Eyed Girl", and this is my first time playing guitar. He's super flexible considering my schedule is hectic so I appreciate his patience and willingness to work with me. He goes into theory as well as playing right away on the first day. Overall an amazing teacher that I would recommend for any instrument because of his vast knowledge in music! Jordan is an amazing teacher: dedicated, knowledgeable, fun, and patient! I have learned so much from him and really look forward to our lessons! Jordan is a great music teacher. My children really likes him and is excited about music. i was looking for an instructor who would be an expert in his field as well as a good communicater. jordan is certainly both. i couldn't be more pleased with the lessons, his style and my results. i am also pleased with the follow up by your organization. it validates my decision as to where i was going to take lessons. Jordan is a great music teacher. He is very clear, attentive, patient, fun and breaks things down in a great way for my child. My child really likes him and is excited about music. Alex and Lauren are really enjoying their lessons with Jordan. The kids say; "He breaks it down so we get it, he is really patient, and he helps us get it right"